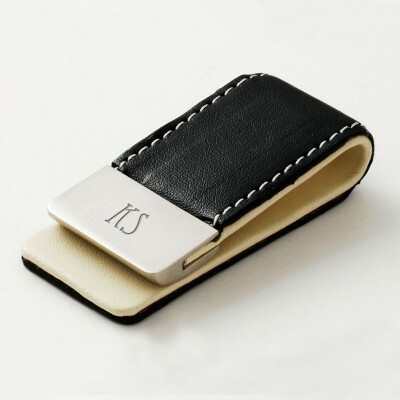 A handy stylish gift that can be personalised with his initials. Black PU leather with a cream stitched trim. Hard wearing stainless steel clip. The Tight clip means his money won't be going anywhere!